The Eastern Cape’s renewable energy boom has helped stabilise the supply of energy in the Eastern Cape says the Department of Economic Development, Environmental Affairs and Tourism. 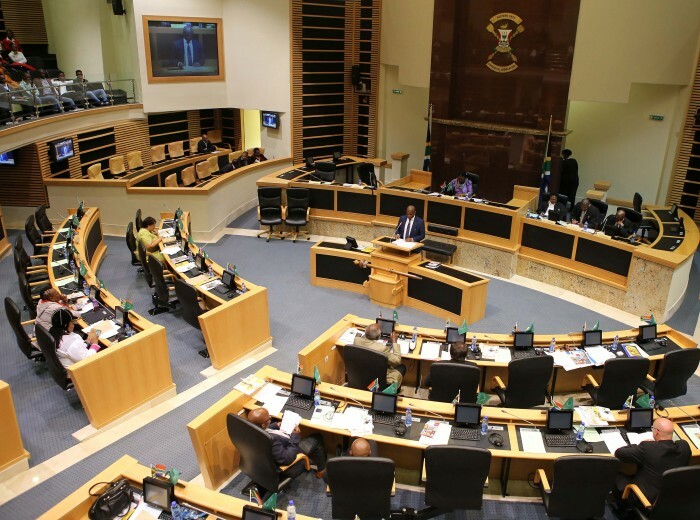 Addressing the Eastern Cape Legislature in his third policy speech for the Department, MEC Sakhumzi Somyo said that the Independent Power Producers Programme had injected R33.7 billion into the economy through their renewable energy projects. Furthermore, these projects had also created 18,132 job years – a job year is the equivalent of a full time employment for one person for one year. He said that the sector had also created opportunities for SMMEs for which DEDEAT had initiated a programme of support. Currently the project is in its third phase and had engaged with 330 prospective SMMEs and provided follow-up support to 16 selected SMMEs. This helped the SMMEs to successfully secure over R17 million in contracts, within and outside of the energy sector. The Department had also helped to advance SMME participation in the value chain process of wind and solar farms, from supplementary services such as catering and bush clearing into production processes. He also explained that the province’s industrial development zones were also playing a key role in this sector, securing additional investment for the province. For example, at the Coega IDZ, the R3.5 billion Dedisa Peaking Power Plant which created about 1,490 jobs, reached its commercial operation in September 2015, and now contributes electricity into the national grid. Going forward, DEDISA will be an off-taker for the natural gas in the Department of Energy’s Independent Power Producer procurement progress.. These developments, he added, will advance the Coega Development Corporation’s readiness plans in anticipation of becoming central to the gas-to-power developments in South Africa. At the East London IDZ, engagements are at advanced stages to attract R2.5 billion worth of renewable energy investments to the East London IDZ, which have the potential to create 900 work opportunities. In the current year, the East London IDZ will also finalise the construction of four renewable energy generation projects that have received R2.1 billion from the Department of Trade and Industry. These projects will create 1,277 construction jobs and a further 450 direct manufacturing jobs when operational. The East London IDZ has already secured two renewable energy investors in solar manufacturing as well as inverter manufacturing. “Our universities are also playing their role in this sector,” added Somyo. He referred to the University of Fort Hare’s construction of the 180kW biogas digester that will convert piggery waste to gas and electricity at the university. This project is 75% complete. The Department also has a multi-year partnership with the Nelson Mandela Metropolitan University for scientific research on shale gas resources. This research is providing crucial data, while at the same time delivering world class scientific capacity in the province,” he explained. Currently 30 masters and doctoral research studies are underway. These findings will allow the provincial government to respond optimally and responsibly to the potentially game-changing economic opportunity of shale gas. “Real economic transformation in the energy sector should mean that the previously disadvantaged should move from the periphery to the centre of the value chain, if we are to achieve accelerated economic transformation. “We must see them in the manufacturing and supply of renewable energy requirements including wind and solar components, supporting electrical infrastructure, and other civil works. We are looking at the DTI’s black industrialist programme to see how we can leverage for this group in this sector,” he ended. 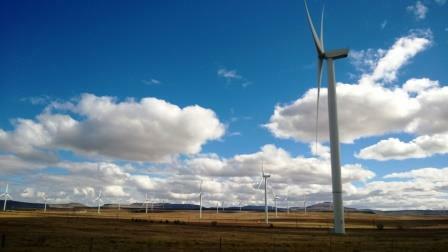 The Dorper Wind Farm, between Molteno and Sterkstroom, is one of the Eastern Cape’s 13 large-scale wind and solar projects.